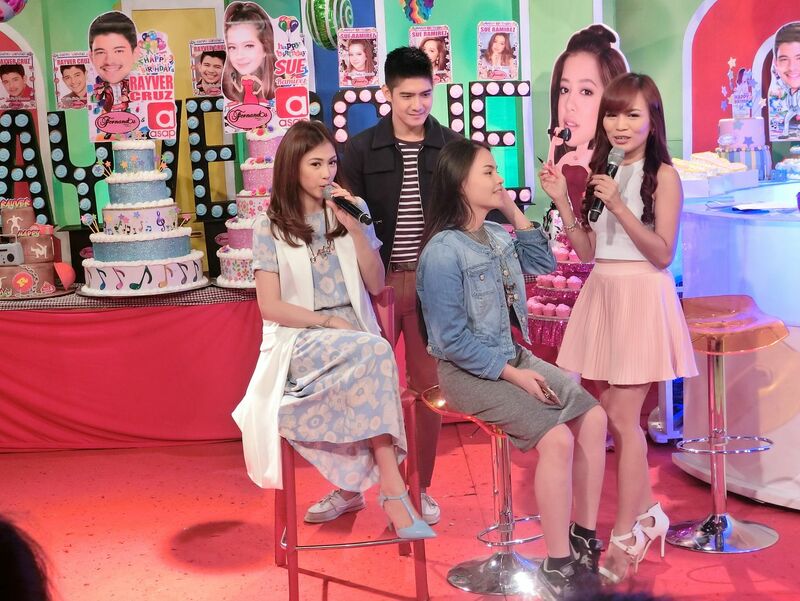 Real Asian Beauty: ASAP Chillout Guesting on ABS-CBN! 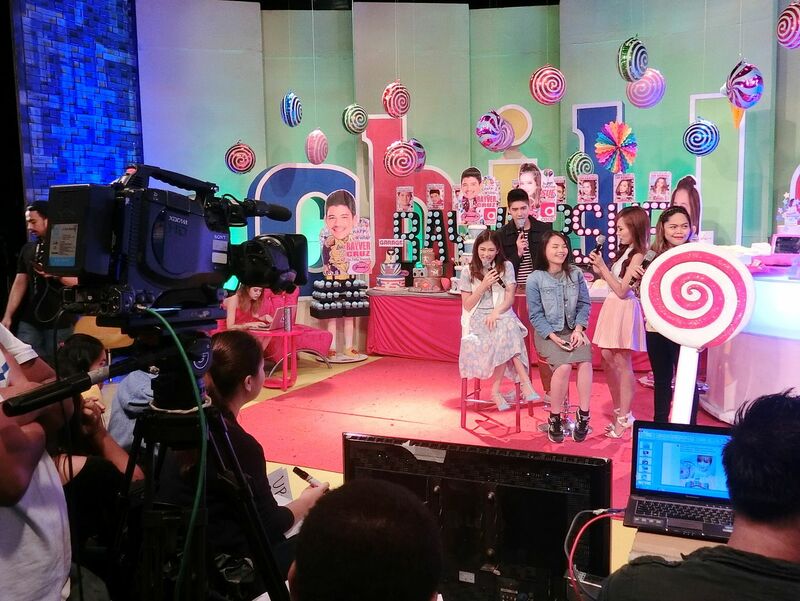 ASAP Chillout Guesting on ABS-CBN! Last year, 2015, my life was in repose. I didn't have lot of events or shining moments. When I went back and realized what I left hanging, I made a list. One of the things on that list was to be featured on a local TV show again. When 2016 entered, I thought I was not going to be able reclaim my spot on the blogging world as I left it hanging for almost a year. I gave myself an ultimatum. I told myself I was going to go back to regular office job if I don't do well again until July 2016. But God is just amazing! He gave me enough reasons not to adjure my internet life. One of that reasons is this short appearance on ASAP!! Sometime last week, I got an email from ASAP Chillout's researcher, Ms. Irene. I was told the show wanted me over for a quick interview/demo regarding makeup and my internet life. Of course, I was more than excited to say YES! Here is what happened to that ASAP guesting! 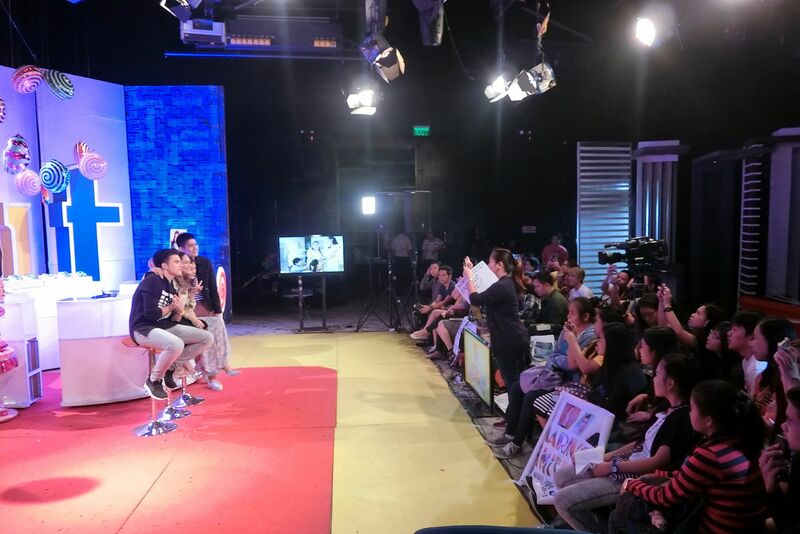 I was part of the roster for ASAP Chillout's July 17, 2016 episode. 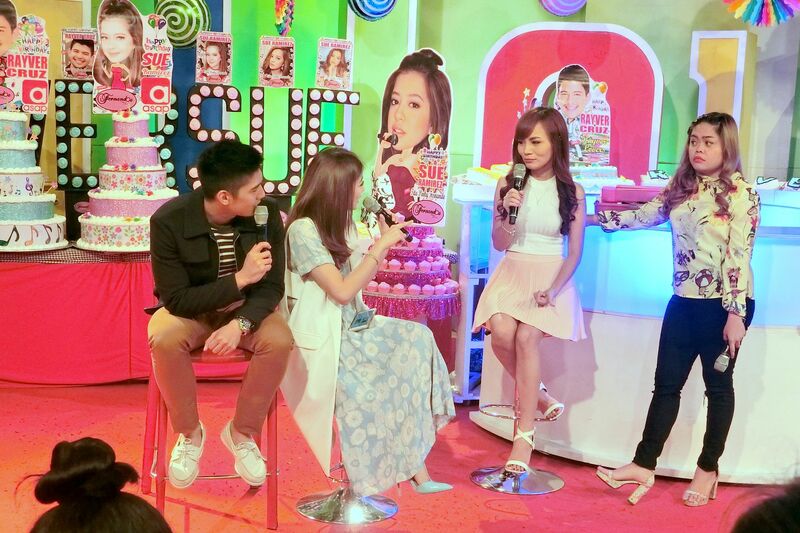 ASAP Chillout is ABS-CBN's online streaming show that airs at the same time as ASAP. I was lucky enough that I got to witness a live celebrity birthday celebration! 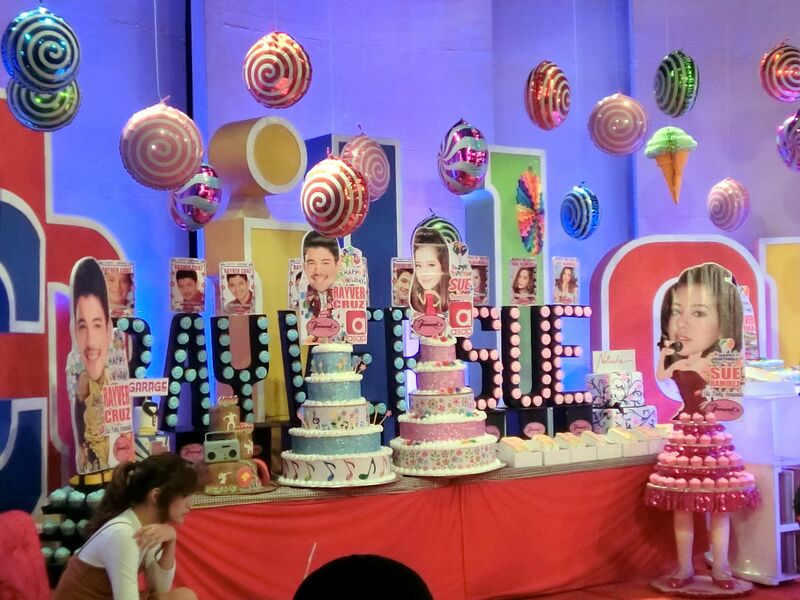 I always see scenarios like this on TV where a celebrity would get lots of cakes and cute cupcakes on his/her birthday! Aww! I thought I was going to do a quick, live makeup demonstration so I went to ABS-CBN with light makeup on. Good thing, the writer told me I was just going to talk about few makeup tips and must-haves. I brought about half of my makeup to the set so I was able to do my full-face makeup. It's always amazing to see fans of celebrities. Those that would wait in line just to see their favorite or create banners and fan arts and shout his/her name while performing or talking on stage. It could be too much to dream and I do admit I do not have the typical face of a celebrity but I wish someday, I'd have loyal fans like them, too. Okaaaaay, finally it's my turn! Welcome to ASAP Chillout Real Asian Beauty, Ms. Kristine Roces! So, what I did there was talk about makeup and life of a YouTube Guru. They asked me questions about how I started, what inspired me to make YouTube videos, how I learned to apply makeup. We also talked about my viral Fake Divisoria Makeup. After that, I showed a quick demo on how to achieve the flawless and natural Korean makeup. This photo was taken right after my segment. I am thankful that my boyfriend was there with me. He never fails to give me support and encouragement, especially on my career. Even when he was just courting me, he would watch my videos and read my blog posts and tell me what he thought about it. He is currently studying Adobe Premier so he could help me edit my videos. He also comes me with to blog events and YouTube gatherings. He also gives me video ideas and he always makes me feel better whenever I would get bashers or rude comments on my videos! Hahaha Am I getting cheesy now? Oh well! Now you know why I look blooming in my videos and photos the past few months. Oh, after the segment, I called my model so I could go over her eyeliner. I was nervous while doing her quick live makeup that I wasn't able to perfect the line. She's so young and pretty! Oh, just imagine if you were this young pretty! Imagine all the possibilities! Haha I sound so Tita now! What do you think of my simple outfit? Yes, that's the skirt I got from Divisoria for Php 400! Can we talk about Robi Domingo now? Okay, lets! I have followed Robi Domingo since he entered Pinoy Big Brother. Since then, I've always thought he's cute. But meeting him in person is another thing. I was impressed what I saw in him that day. Robi doesn't exude the usual "arrogant celebrity complex". Rather, he seemed very intelligent and has that well-bred, well-mannered vibe. He's like that good-looking, smart, rich and nice-to-everyone college blockmate or schoolmate that girls go crazy over. On top of that, he is such a witty host and asks the perfect questions and is always able to carry an interview/conversation! Robi is such a fine man! I hope he does even better in the show business! Thumbs up, Robi! The once chaotic dressing room is now quiet and empty! Time to snap some photos! 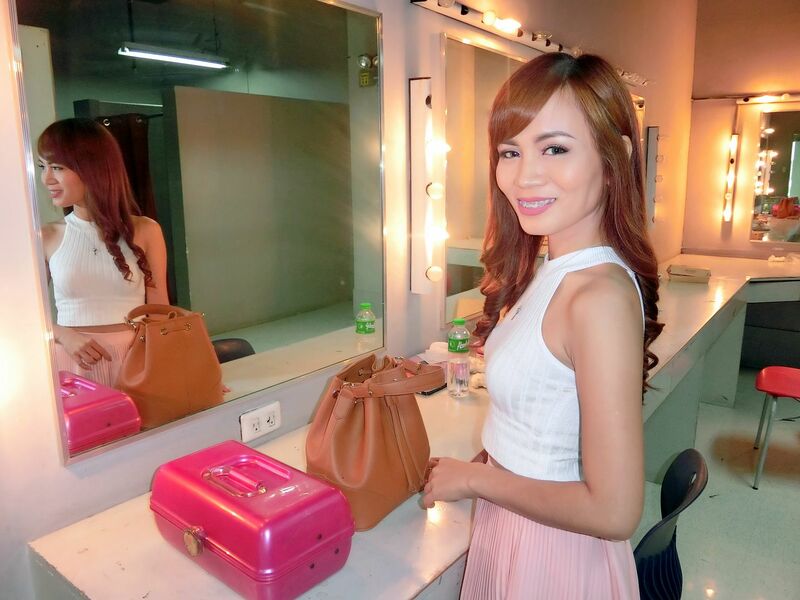 I felt so good after the ASAP Chillout guesting. I felt so motivated and wanted to go straight home and edit more videos for my YouTube channel!!! Hehe Kidding aside, it was one of my happiest days. My boyfriend and I were so happy, too. After that, we went to the mall with my parents and had dinner together. It was my first-time ever to have dinner with my family and with my boyfriend! The face of a happy and in love woman is the most beautiful face in the world. Nothing beats that sparkle in her eyes and no beauty filter can outshine that glow! Yeeeeeee! So cheesy!!! Thank you so much for reading this blog post. 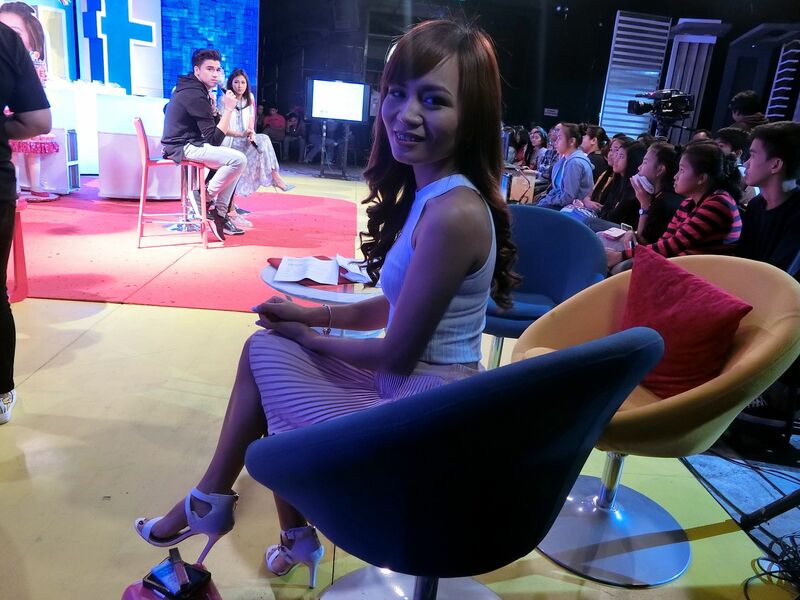 Thanks to ABS-CBN ASAP Chillout for having me to guest your show. And thank YOU, my loyal reader, for always reading my blog and for watching my YouTube videos. I made it 5 years on the internet because of your continued support. I will never have gotten this far without your help! You brought me to where I am now. For that, I will be forever thankful! Thank you so much!